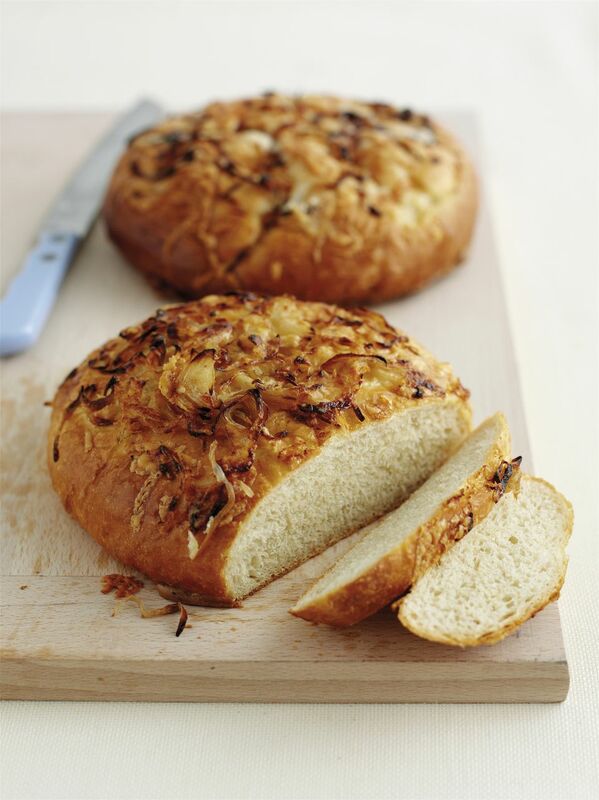 If you are looking for a simple onion bread to add to your meal, you can't go wrong with this Onion Bread Recipe for use in the bread machine. This recipe uses onion soup mix as its main ingredient, a simple item many of us already have in our pantry. Place ingredients in bread pan in order listed or according to manufacturer's directions. The onion soup mix is added at the fruit and nut signal. Depending on your machine this could be anywhere from 30 to 40 minutes into the cycle. Remember, when adding the yeast last, make a small well with your finger to place the yeast. This will ensure the proper timing of the yeast reaction. This bread is processed at the Basic (Standard) or Timed Cycle, or according to manufacturer's directions.